At the Hearthstone Lodge we understand the importance of making a corporate meeting effective and a special occasion memorable. We understand the responsibility you have to ensure that everyone is enjoying themselves, that the food is remarkable and that it all comes together stress-free. All of this happens when you choose a refreshing and unique group venue like the Hearthstone Lodge. 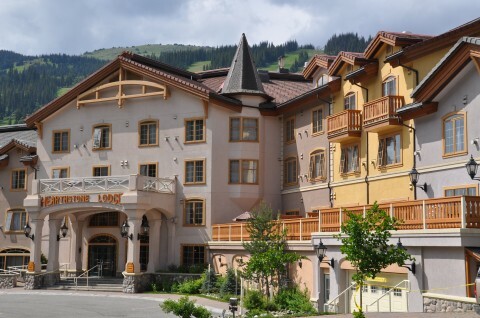 The Hearthstone Lodge specializes in mid-sized group events at Sun Peaks Resort, BC for up to 90 people. From the moment you call us you will know that your event will be delivered with a high degree of personalization. The Hearthstone Lodge is a meetings and wedding venue of choice in Sun Peaks Resort for its quality, value for money, and mostly for delivering exceptional weddings, meetings, corporate retreats, family reunions and celebrations, to name a few. The all inclusive experience at the Hearthstone Lodge means that you can have it all for Sun Peaks Resort event under one roof. The Hearthstone Lodge provides space for up to 90 people, food and beverage catering onsite, audio visual services and has relationships with area vendors and wedding suppliers. With 70 suites, each with fireplace and kitchen, each of your guests will feel the home away from home charm of our Sun Peaks Resort hotel rooms. The mountain offers year round activities ranging from championship golf to paddle surfing and in the winter from skiing to dog sledding. Pair all of this together and your group can stay together and play together. Being surrounded by majestic mountains and natural landscapes is a daily reminder to keep things simple. We think that you will appreciate the simplicity of our meetings package and wedding package. Both packages provide great value and allow you, the planner to budget and plan efficiently. The Hearthstone Lodge is one of Sun Peaks’ only resort hotels with venue space for group gatherings and parties. Below is a list of some of the types of groups we have hosted.